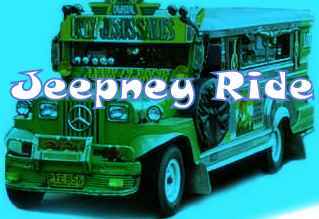 Every jeepney ride is a ride of colors. Colors of the different things the jeepney passed by or colors along with the ride. These are colors I would want to look at or colors that annoys me. It could be the different colors of passengers’ clothing that fascinates me especially when passengers with same clothing colors sit side by side coincidentally. It could be the different colors of establishments the jeepney passed by that are interesting to look at or the different colors of vehicles that annoys me if they are moving slowly on the road. The color of black for smoke is also irritating to look at because it would be unhealthy for us and for the environment. The color of red for traffic lights annoys me the most because it would mean delays in arriving to any destination. Red is also the color I feared the most, the red color for blood that bring forth by the different accidents along the road. These are only some of the different colors I encounter on my jeepney ride.